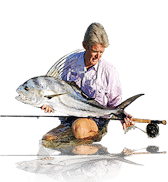 e the story; when he arrived, Ross was still fighting the monster yellowfin tuna, and his deckhand was fighting another huge fish that had been hooked around the same time. The tug of war continued throughout the afternoon as Ross applied as much pressure as he dared to bring the monster fish to the boat. With as much pressure as he was applying, it wasn’t surprising at all when the line suddenly went slack and Ross reeled in the straightened-out hook! Not a quitter, Ross took the rod from his deckhand and muscled in the remaining large fish that his deckhand had been fighting for hours. 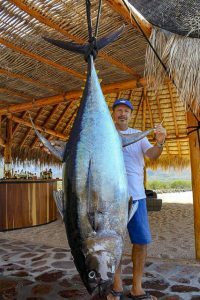 This time, Ross successfully brought the huge fish aboard and returned to his home at San Cosme to weigh the big fish on his scale. It weighed 141-Kilos or 310.2 pounds. “The local tuna bite has been extraordinary,” Ross observed later that evening. And he was correct. 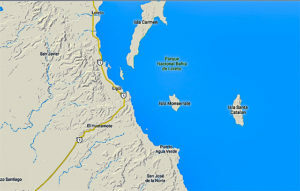 This year there have been seven cow-sized tuna captured in local waters. 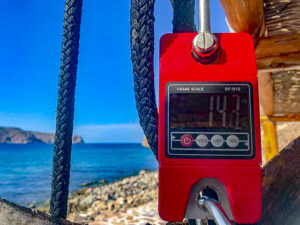 In January a 424.6-pounder and a 319-pounder were caught by Jorge Lazo, Tijuana; a 242-pound tuna was taken by Ross plus a 212.5-pound fish was caught by Yadon that same month. Then in July, another one weighing 302 pounds was brought to scale by Frank Kavanaugh from Newport Beach. So along with the 310.2-pounder Robert Ross caught yesterday, plus another caught by a local fisherman estimated to be approximately 250-pounds, the total is seven for the year so far. 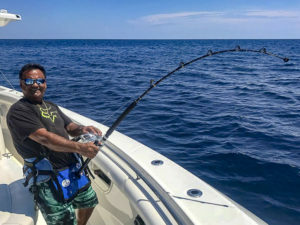 Wide-eyed, both Ross and Yadon described the scene around their boats as monster-sized yellowfin boiled on sardines just a few feet off the stern. They saw several as well as the one that Ross hooked that were all candidates for topping the current IGFA All-Tackle 427-pound record held by Guy Yocum set nearly six years ago. The remarkable fact is that there are so few anglers on these fish when an IGFA record could be waiting to be broken. With at least a few more months of prime season left, odds are that there will be more news coming from this relatively unknown fishery before year’s end.